It was a great turn out with everyone dressed up in costumes at our Halloween Street Party! 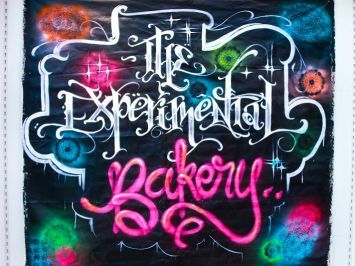 Bastille Day in Remuera is proving to be in popular demand again, therefore, we have put on another fantastic show for you. 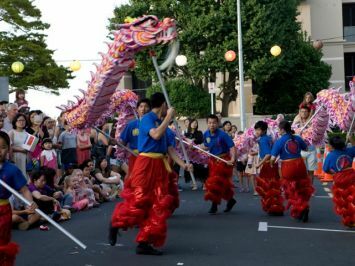 Chinese New Year 2018 was held at the top of St Vincent Avenue on the evening of Friday 23rd February. The event proved to be popular with approximately 500+ people attending and enjoying an extravaganza of entertainment and food. 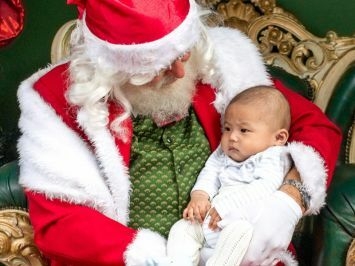 Santa and Mrs Claus visited Remuera in December 2017, spreading Christmas cheer at Santa's Cabin in the Village Green and getting involved with local businesses too! 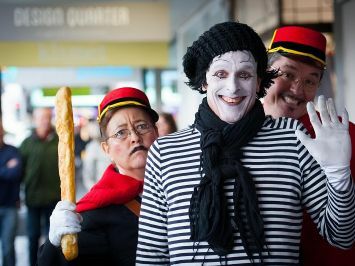 A perfect winter's day brought many visitors to Remuera to enjoy French music, mimes, crepes and Citroens! Poodles of all descriptions were on the street, enjoying the sunshine. Opera Factory was a highlight, performing French opera and songs from Les Mis. Thanks to the Orakei Local Board for sponsoring Bastille Day once again. Photos by Vanita Andrews. 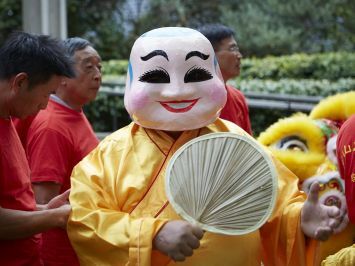 Remuera celebrated Chinese New Year on February 10 with lanterns, cultural performances and the announcement of Lantern Competition winners. School families and Remuera locals enjoyed an enteraining evening outside Remuera Library. Thanks to the Orakei Local Board and Barfoot & Thompson for sponsoring this event. Photos by Vanita Andrews. 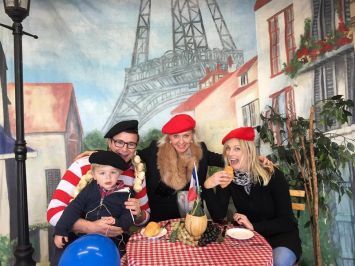 Photo Remuera captured some of the fun at Remuera's Bastille Day Festival on July 15th 2017. Seven local schools took part in the Chinese Lantern Competition in 2017, with some very creative lanterns entered! Judges David Wong from the Orakei Local Board and Peter Thompson from Barfoot & Thompson had a challenge selecting ten finalists from Year 1-3 entrants and ten finalist from Year 4-6 entrants... and then choosing the top five winners from each! Photos by Vanita Andrews. Halloween Market Day brought lots of costumed kids of all ages to Remuera. Amongst the Market Day specials were pirates, princesses, cowboys, bumble bees and scarey stuff too. 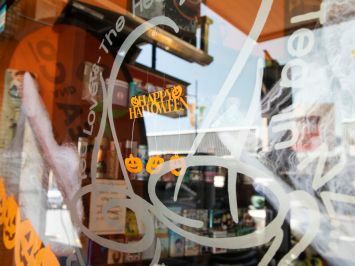 Horse and wagon rides, a Freaky FotoBOOth, costume competition and plenty of music made it a fun day out for trick or treaters. Photos by Vanita Andrews. 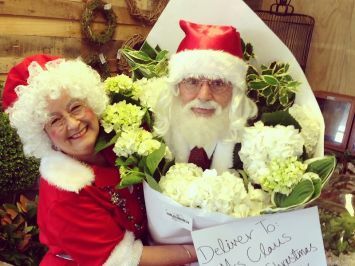 Santa and Mrs Claus visited Remuera in December 2016, spreading Christmas cheer at Santa's Cabin in the Village Green and getting involved with local businesses too! With Village Jazz happening on Saturdays it was all go in the Village Green in the lead-up to Christmas. 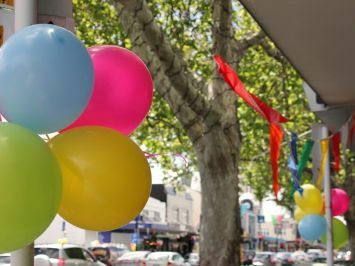 Remuera's Bastille Day Festival took place the day after the tragic events in Nice. Many people of different nationalities came together in Remuera to show their solidarity for France. 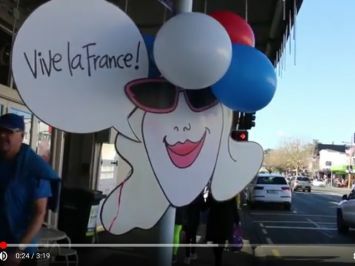 Remuera was proud to host this event, celebrate the French culture and show our support for France. It was a joyful day although our friends from Alliance Francaise were missed. Photos by Vanita Andrews. 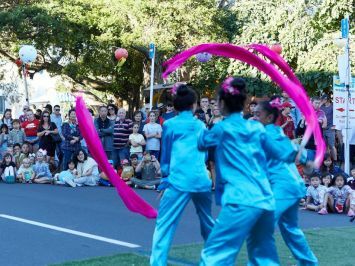 Remuera celebrated Chinese New Year on Feburary 12 with drumming, dancing, food stalls and lantern making... along with Lion and Dragon dance performances. Artist Weilun Ha demonstrated his calligraphy artwork, and Chinese tea tastings took place. Winners of the School Lantern Competition were announced. Photos by Vanita Andrews. 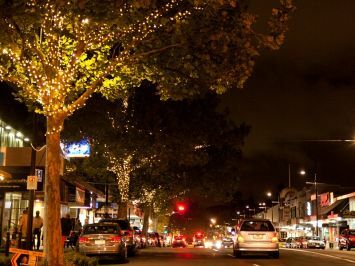 On Saturday March 12 Remuera transformed into a White Night experience once again. Raku Firing, makerspaces, visual arts, street art, ballet, electronica and cinematic performances were a highlight this year. White Night was curated by Jillian de Beer, and sponsored by the Orakei Local Board, Barfoot & Thompson Remuera and Perpetual Guardian. 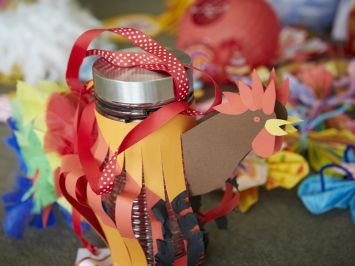 Local schools took part in a Lantern Competition as part of Remuera's Chinese New Year. Sponsored by Barfoot & Thompson Remuera and ANZ, 20 finalists were chosen from hundreds of entries. 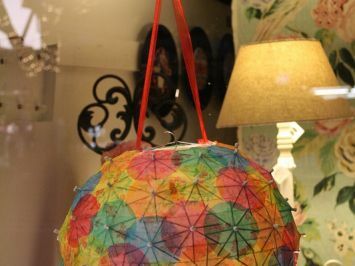 Finalist's lanterns are displayed throughout Remuera shop windows until 22 February 2016. 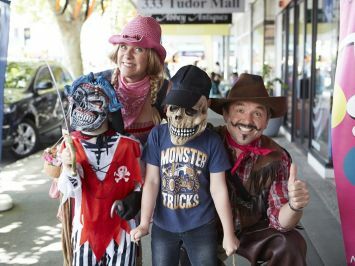 A Halloween theme for Remuera Market Day brought many costumed children and families to Remuera to enjoy trick or treating, horse and wagon rides, a Monster Mash and plenty of other entertainment! Remuera Rotary, Lions, Plunket, Playcentre and Scouts also participated on the day. 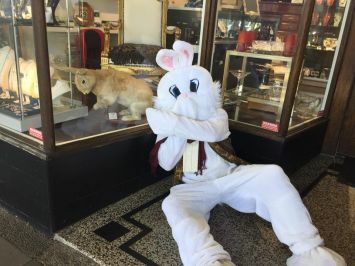 Several thousand people enjoyed the opportunity to see intallations, meet artists and experience magical performances at White Night in Remuera on 14 March. 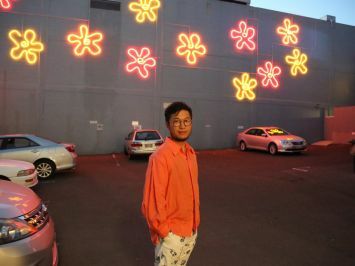 Part of the Auckland Arts Festival, White Night in Remuera was sponsored by Barfoot & Thompson Remuera, the Orakei Local Board, Perpetual Guardian and China Airlines, Curated by Jillian de Beer. 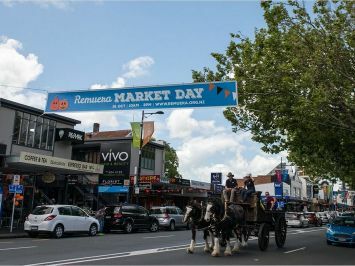 Despite a weather bomb that included torrential rain and tornadoes, Remuera celebrated Bastille Day with its fourth annual Street Festival. Gendarmes, Mimes, Pop-Up fashion parades, music, crepes and French circus brightened a very wet Saturday on 18 July. Thanks to the Orakei Local Board for sponsoring this event. Photos by Michael Jeong and Bruce Tetley. 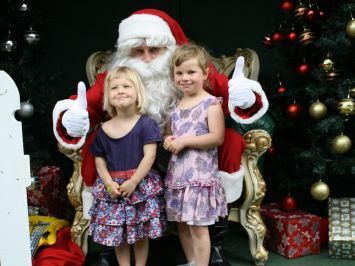 Remuera embraced the Christmas spirit in 2014 with regular appearances by Santa, Mrs Claus, Elves and Christmas buskers throughout December. Christmas decorations included Santa's Sleigh and Reindeer climbing street poles. The sun shone on shoppers at Remuera Market Day on November 8, with lots of colour and activities for families. The Pironigia Clydesdale horse and wagon rides were a big hit, along with street entertainers Trevor and Bonnie and Le Cirque de JP. Photos by Emily Bray. Rio came to Remuera on 1 March 2014! 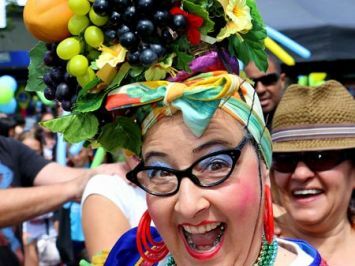 Live bands Kantuta and Henrique Morales Quartet entertained alongside Samba dancers, Salsa dancers, Capoeira, AK Samba and Carmen Miranda. A community art project facilitated by Jill Walker created a stunning flower archway into the Village Green. Thanks to the Orakei Local Board for their support. 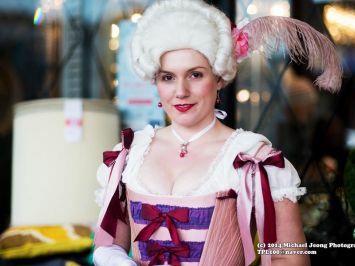 Remuera's third annual Bastille Day Street Festival took place on Saturday 19 July 2014. French music, dance, circus, mime artists and classic Citroen cars made it a memorable day. 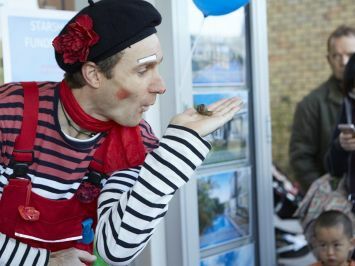 Stringbean marionette puppets and an amazing Meccano Day in Remuera Library rounded off a month of French celebrations. Thanks to the Orakei Local Board, Air France and House of Travel for supporting French for July. 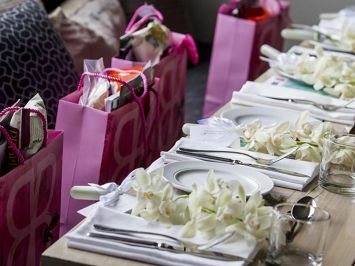 With summer just around the corner, fashion and food were the highlight of Remuera's Fashion Lunch on 24 September 2013. 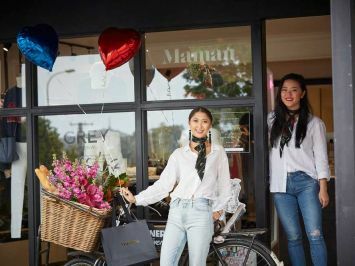 Held at Banque Oyster Bar & Eatery and MC'd by Jackie O'Fee, guests were treated to a two course lunch, bubbles and a fashion show by local Remuera retailers... and featuring many local models! Photos by Nina Gastreich. Remuera transformed into a 'White Night' contemporary arts experience for the first time on 16 March 2013, part of the Auckland Arts Festival. Thousands of people enjoyed unique artworks, experimental art forms and magical performances. Thanks to the Orakei Local Board and Kellands for their support. Curated by Jillian de Beer. Remuera shopping village has everything you need to live life local. You'll find fresh produce and grocery, a butcher, fish shop and bakeries - together with a wonderful Library, Post Office and a wide range of shops and services. And of course a warm welcome and great coffee at local cafes and restaurants!